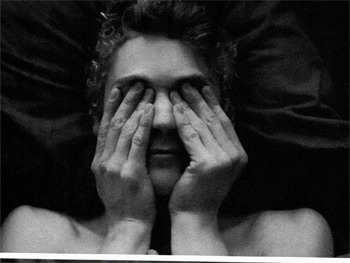 Synopsis: Christian boy Stanley enters the gay scene, encountering new experiences and melancholy as he comes of age. The classic tale of a bird leaving the nest is expressed through textured and experimental imagery. The film is shot vertically in 9:16 aspect ratio and blurs the line between documentary and fiction. Stanley's Mouth is a contemporary piece of religious art that embraces love and sexual experience. Question: How would you describe Stanley's Mouth? 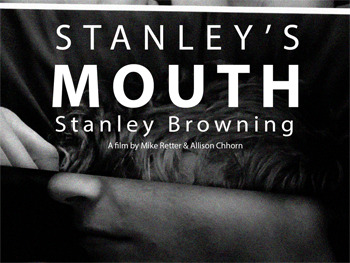 Allison Chhorn: Stanley's Mouth is an experimental coming-of-age film, focusing on a Christian teenager exploring his sexuality. The film is expressed through textures, colours and experimental sounds in the vertical frame. Question: Can you explain how the film was shot to blur the lines between documentary and fiction? Allison Chhorn: Mike has a background in documentary filmmaking, but this was his first narrative film. We didn't have any scripted dialogue, but instead let scenes unfold naturally. So it was very organic the way moments were captured. This could be felt in the natural mis-en-scene and the rawness of the camera. The fiction elements were dictated by a loose structure beforehand and editing afterwards. Question: How did you go about casting Stanley Browning for the role of Stanley? Allison Chhorn: We posted a call out on social media and a variety of young people responded. We held some auditions but Stanley was the only actor that really stood out in terms of casting the lead role. He was the most experienced actor while still being very young. He was also very natural on camera. He was very professional and up for anything during the shoot. Question: Can you talk us through the location of the film? Why was it important to shoot in Port Adelaide? Allison Chhorn: It made sense to film in and around Port Adelaide because the video shop, Film Buff Central, we were running at the time was based there. The video shop provided a foundation for us; meeting interesting people, holding auditions, doing test shots. On top of that, there were also a lot of cinematic places in Port Adelaide. Question: What did you find was the most challenging aspect of filming Stanley's Mouth? Allison Chhorn: Learning how to shoot in 9:16 aspect ratio was new. Just learning how to frame things and people in the vertical ratio was a learning experience. But we were also learning the fundamentals of cinema and filmmaking - how to film dialogue, how to film in public places, how to film with extras, etc. We were learning everything as we were doing it. Question: What do you hope to achieve from Stanley's Mouth? Allison Chhorn: There hasn't been many feature films or films shot in 9:16, besides phones. And so just showing a sense of exploration and experimentation through the vertical frame is something that can be done a long form film. Allison Chhorn: We've already completed our second film Youth On The March. It was also filmed in 9:16 and screened at the 2017 Adelaide Film Festival. We are currently in production of our third vertical film, which will complete the 9:16 trilogy. It centres around a vintner or winemaker who deals with a harsh winter and pressure from a new management, creating a climate of paranoia. Unlike the last two films, this will be shot in a South Australian wine region.